Forrester Consulting surveyed around 600 CxOs and Functional Heads across key industries and sectors, including Telco / FS & Banking / Retail, prompting the publication of a series of agenda-setting reports. It emerged 73% of firms believe traditional business models will disappear within the next five years due to the digital revolution. You’re invited to informally discuss emerging trends, challenges, insight and market impacts with fellow C-Level decision-makers at our exclusive event. 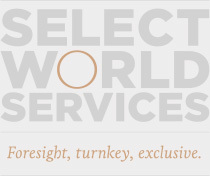 JOIN US for senior-level conversations, exchange of ideas and networking at Select World Services’ Exclusive, intimate, by invitation only CXO dinner – Digitization: Drive or Get Driven? And VPs, and Head of Departments with responsibilities in Digitization, IT, Data, Innovation, Fraud, Risk, and Finance.